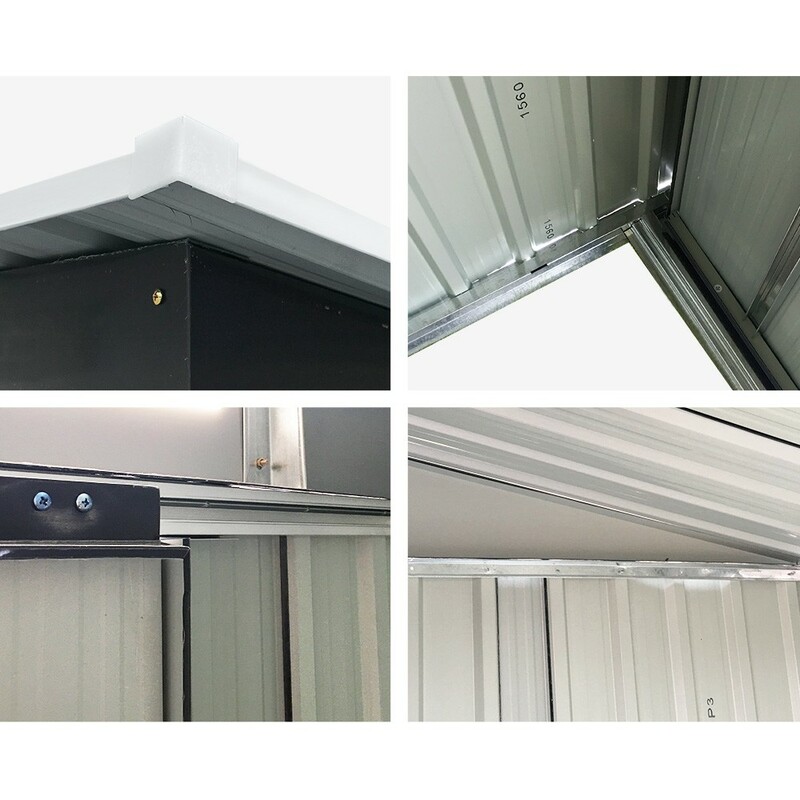 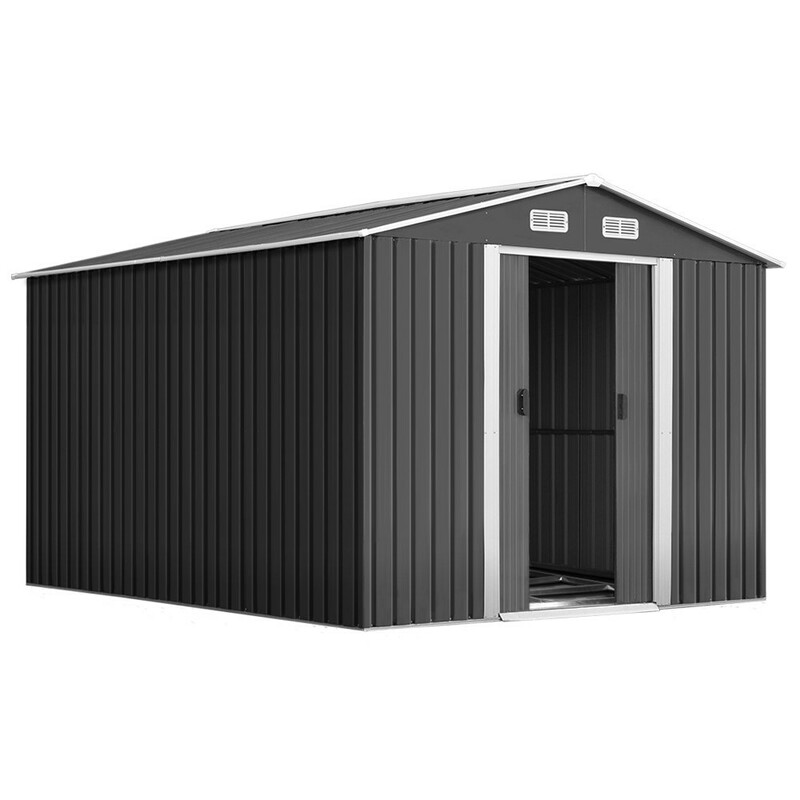 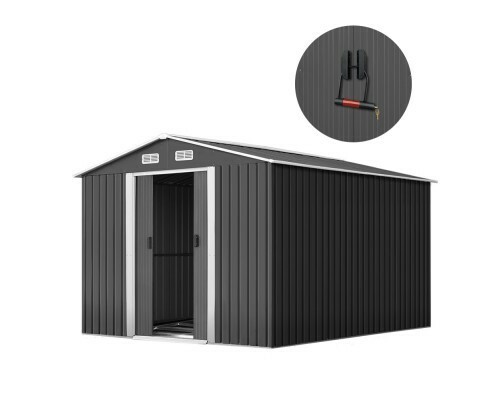 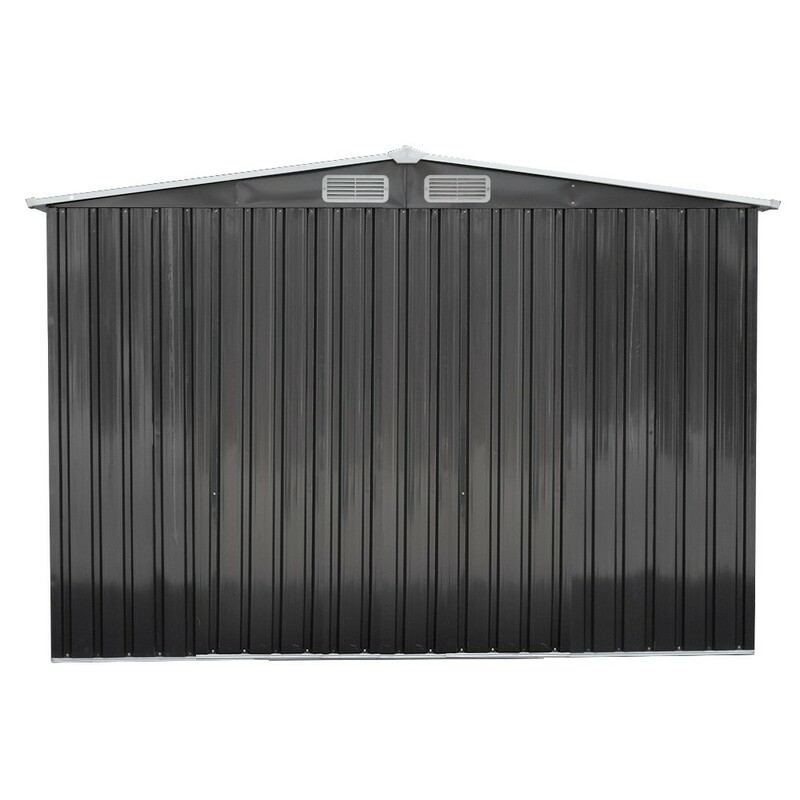 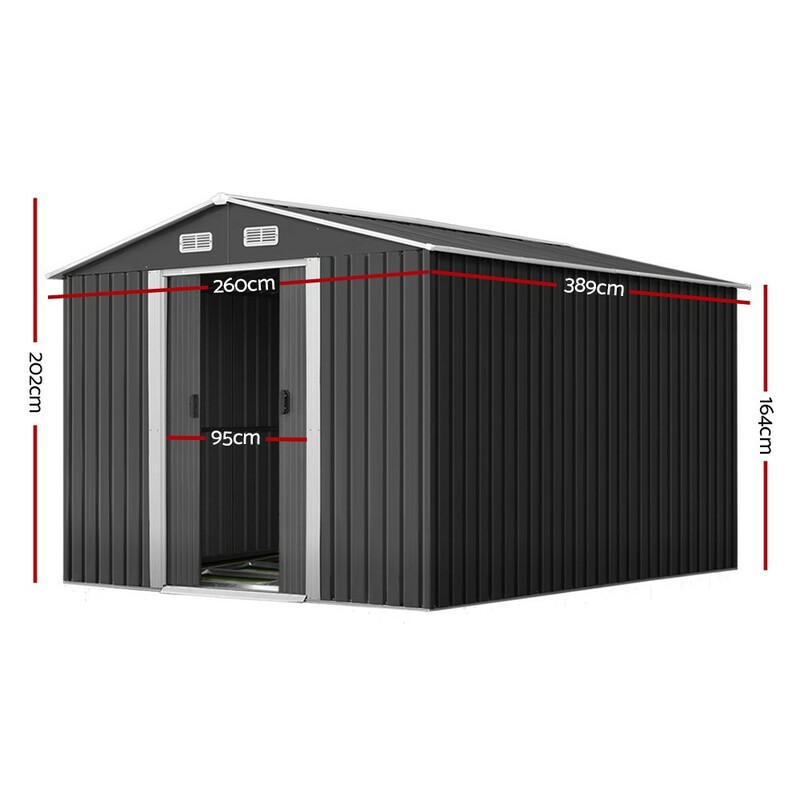 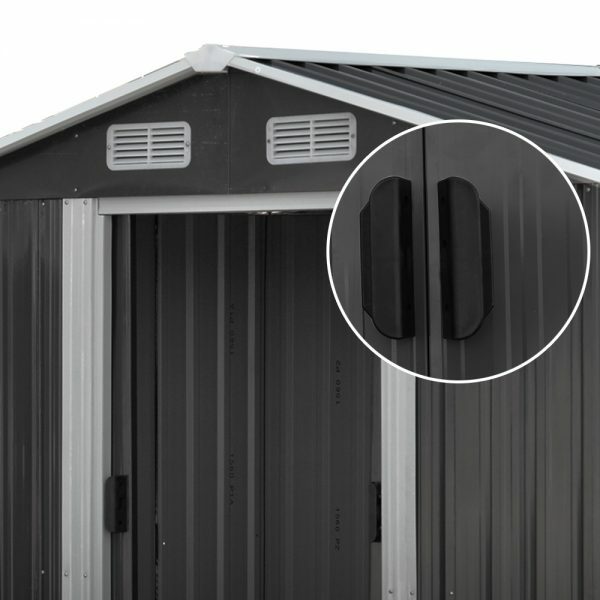 Our metal shed is constructed of galvanized steel and polypropylene. 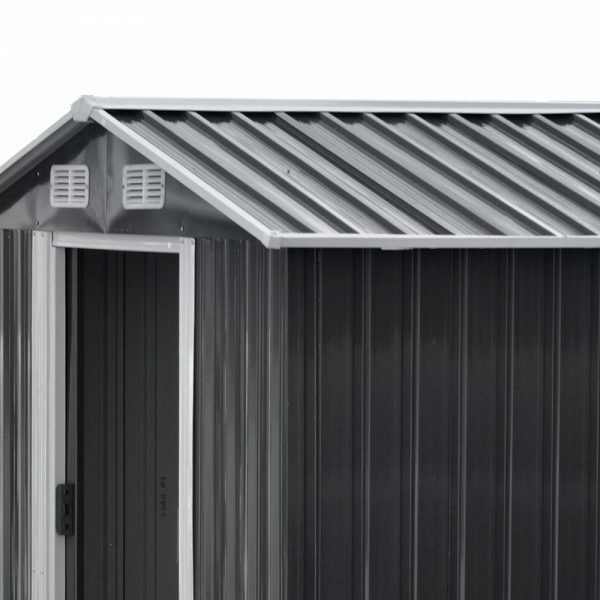 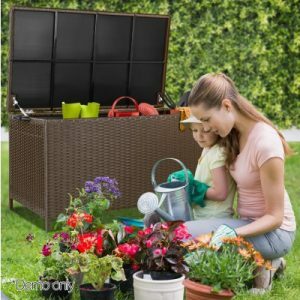 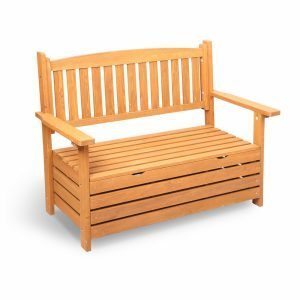 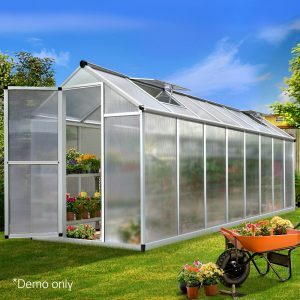 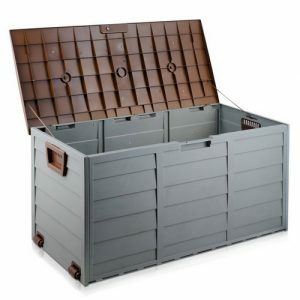 It is corrosion-resistant and weatherproof. 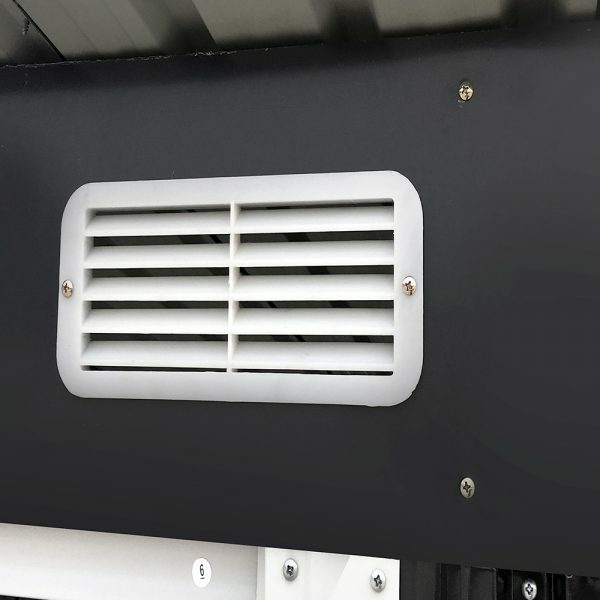 It features a steel base frame with four air vents on top of the sloped roof for ventilation. The sloping roof also helps to drain water fast. 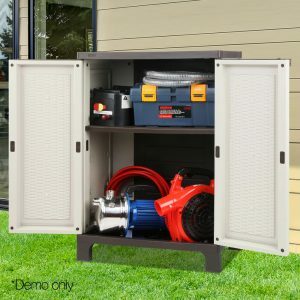 It has double sliding doors and is maintenance-free.